Sony announced that Evolution Studio will be closed. The last game came from Evolution Studio is the racing game Driveclub which was plagued by multiple delays and unstable server status. The move will unfortunately lead to job losses, although Sony is promising that it will try to place employees in other companies when it can. 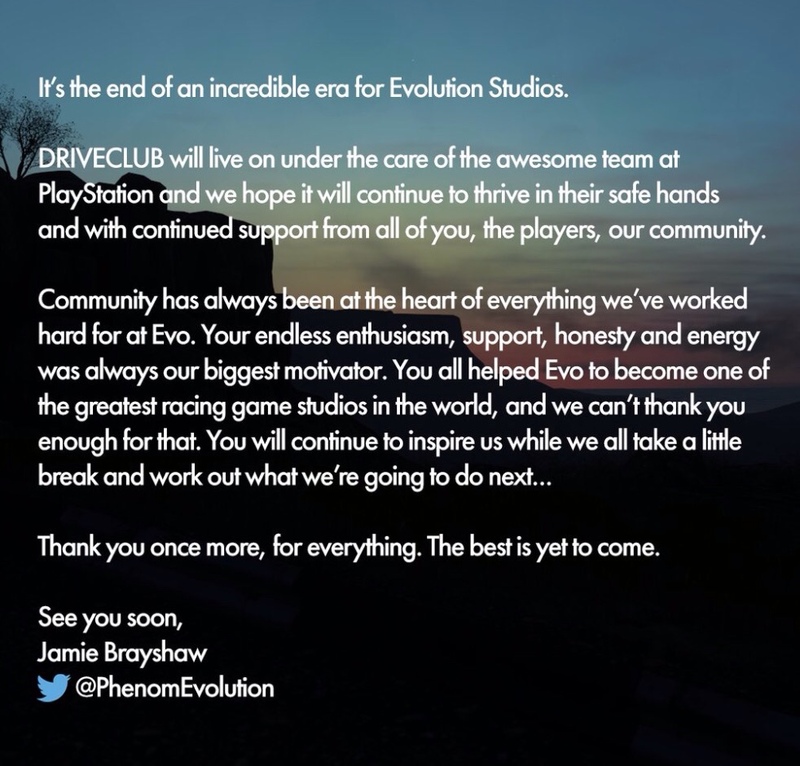 Evolution had already lost 55 people almost exactly one year earlier as it tried to refocus on Driveclub as a service. The closure represents a classic instance of betting the farm on a single project and failing spectacularly. Both Evolution and Sony hyped Driveclub to the extreme, portraying the social racing game as if it was the next Gran Turismo. It was supposed to be a highlight of the PlayStation 4 launch lineup, in fact. Numerous delays pushed it out by nearly a year, however, and the initial release was a total mess. Its staple online features just didn't work properly, and the core game was nothing to write home about even when things ran perfectly. Combine those problems with the massively delayed free PS Plus Edition and having to give away add-ons as a peace offering, and you can see why Sony wasn't so enthusiastic -- a studio that had promised the Moon only ended up delivering a few broken rocks. This decision came from Sony's review statement on European operation, in which Sony says: "We accept that this decision will mean that we risk losing high-calibre staff, but by focusing on other studios that already have exciting new projects in development, we believe we will be in a stronger position going forward and able to offer the best possible content of the highest quality for our consumers". 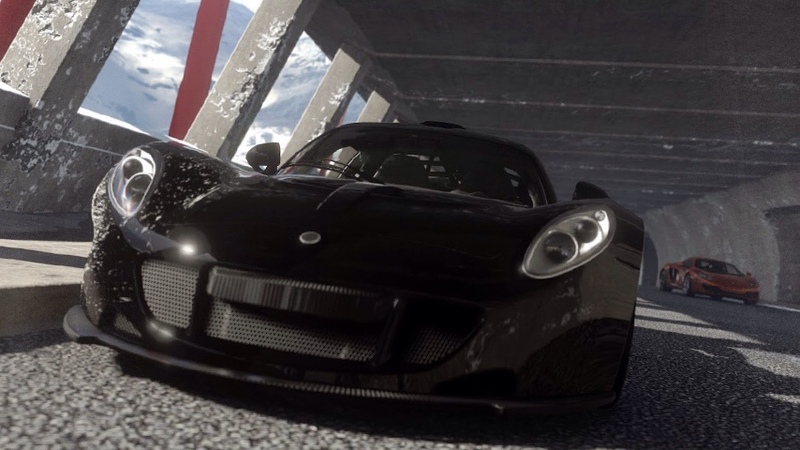 The maintenance and updating work of Driveclub will be moved to other teams at Sony, says Driveclub's community manager.